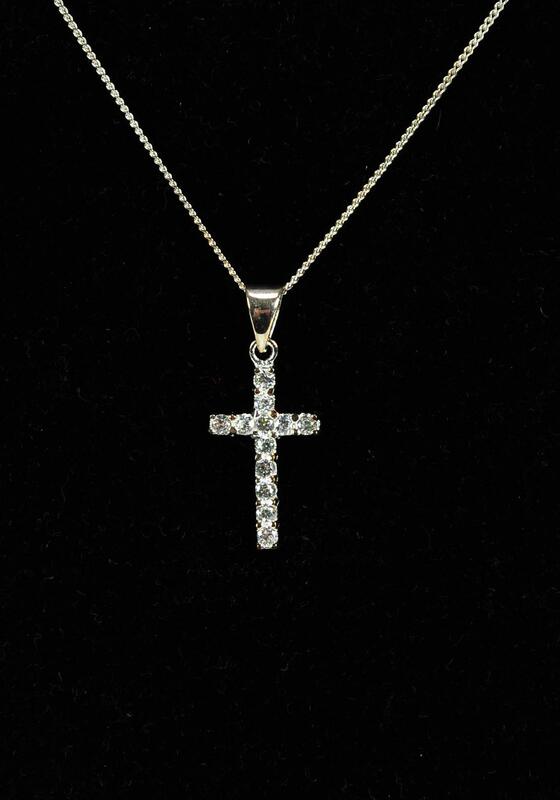 Sparkling diamond encrusted cross necklace. 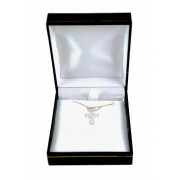 The perfect gift for that special someone, ideal for first holy communion. 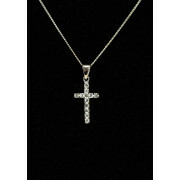 Dimensions: 18 cm Chain Length, Cross Length 1cm x 2cm. Dimensions: Chain Length 18 cm, Cross Length 1cm x 2cm.